However they're less likely to journey large distances to find a mate when currents aren't favourable, a world-first study published in the Proceedings of the Royal Society B: Biological Sciences reveals. 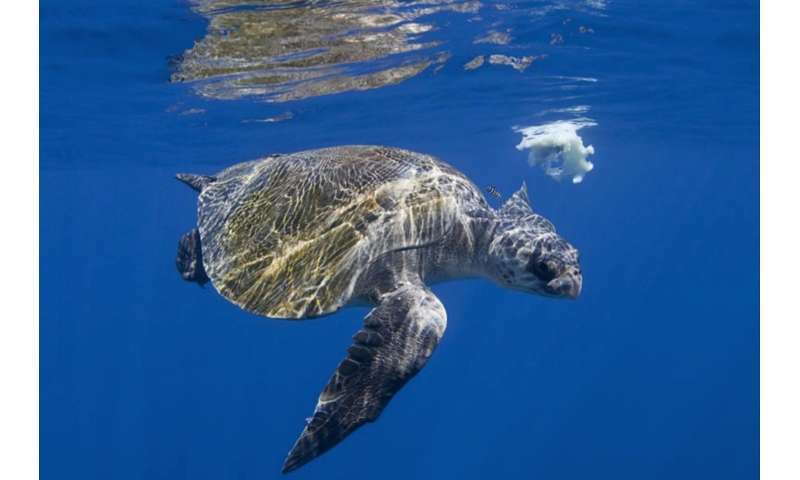 "Surprisingly, we showed that connectivity is largely reduced in these turtles because of the influence of dynamic ocean circulation during the migration and mating seasons, but not in other periods of the year," says researcher Professor Luciano Beheregaray, leader of the Molecular Biolology Laboratory at Flinders University. 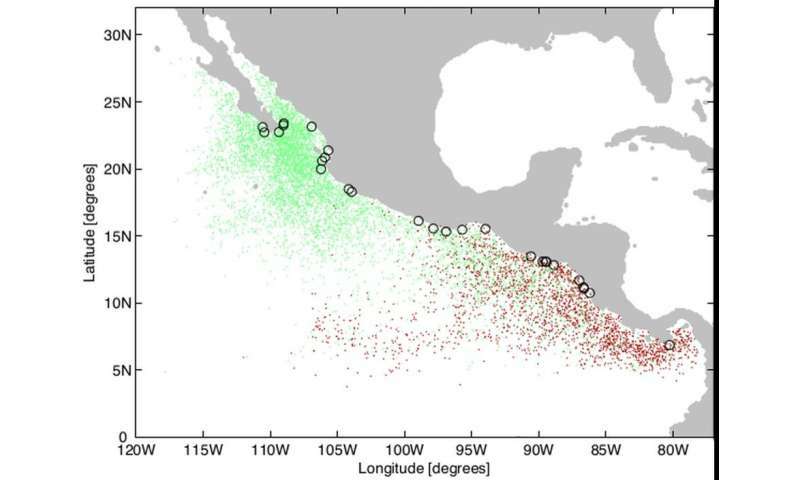 "This finding is very relevant for the conservation management of this endangered species in the eastern Pacific, a region that represents the main area of reproduction of the species in the world," says co-author Dr. Clara Rodríguez-Zárate. "Understanding how marine animals perceive their environment and how this impacts on their movements is essential for addressing human impacts and for informing conservation management", says Professor Beheregaray.